Jim Murray's Whisky Bible 2015 officially awarded Yamazaki Single Malt Sherry Cask 2013 its top honors—and for the first time ever, Scotland isn't even in the top five. Scottish distilleries were left in a state of shock after whisky expert Jim Murray awarded top honors for his Whisky Bible 2015 to a single-malt from Japan’s oldest distillery, Yamazaki. The Whisky Bible has exhaustively reviewed whiskies from around the world for twelve years, and the Independent notes that this is the first year ever that Scottish malts have failed to make the top five. 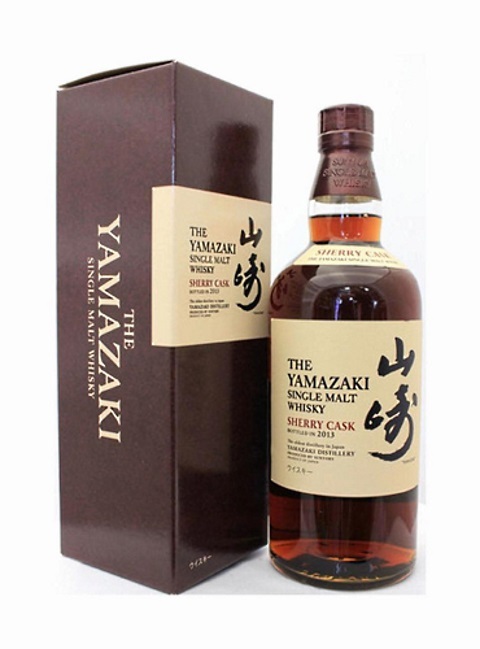 According to Murray, the Yamazaki Single Malt Sherry Cask 2013 is the Best Whisky in the World for 2015. Scottish distilleries couldn’t even win the 2015 award for Best European Whisky of the Year, which instead went to the English Whisky Company’s Chapter 14 Not Peated. If you’re a whisky fan, you might not be able to get anywhere near a bottle of the winner, either: only 18,000 bottles were produced, it retails for around $160 a bottle, and it seems to be sold out via most retailers. There’s always next year to stock up your liquor cabinet with the world’s finest. Until then, here’s a video offering some insight into the world of Japanese whisky distilleries.